Dr Walker was educated in a state grammar school in Dorset before undertaking his medical degree in Birmingham. He was trained in cardiology at St Thomas’ Hospital London, then Oxford before being appointed as a consultant cardiologist at University College & the Middlesex Hospitals, London in 1987. He is the clinical lead for cardiology at UCLH, which in 2015 devolved interventional cardiology services, such as angioplasty and surgery to a new Heart Centre situated at St. Bartholomew’s Hospital, Smithfield. 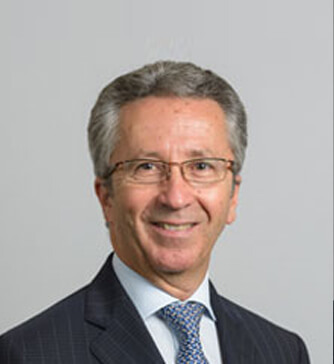 After more than 30 years of interventional cardiology he has ceased undertaking invasive cardiology to focus on his interests in the haemoglobinopathies and cardio-oncology. In 1993 he established a dedicated cardiology service for patients with thalassaemia (TM) and sickle cell anaemia (SCA) and has an international reputation in this specialised area of medicine. In 1999 in a collaborative project with the Brompton Hospital he developed an MRI sequence (T2*) to non-invasively quantify tissue iron overload, leading to a transformation in the care of TM patients, worldwide and credited to have resulted in a >70% reduction in mortality from this inherited haemoglobinopathy. He is on the scientific boards of the national and international bodies that support thalassaemia patients (UKTS and TIF) and has written the National and International guidelines for clinical management of these disorders. In 2013 he was invited to join the writing group convened by the American Heart Association to produce a position statement on the management of the cardiovascular complications of thalassaemia, published in Circulation. In the last year he has embarked on a clinical and laboratory research programme investigating the cardiovascular consequences of cancer and cancer therapy.